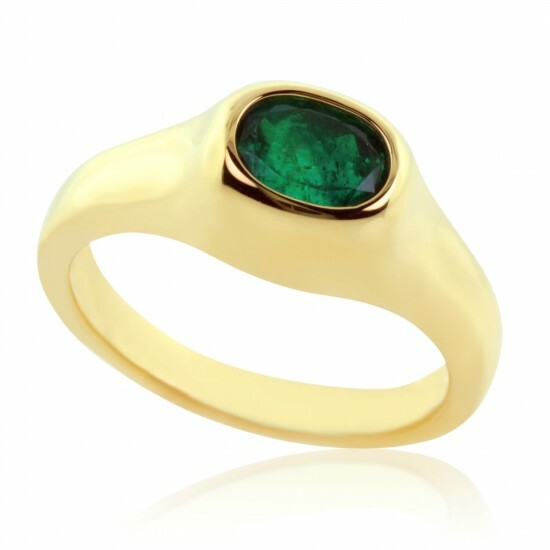 This bezel-set oval emerald is understated yet makes an elegant statement. 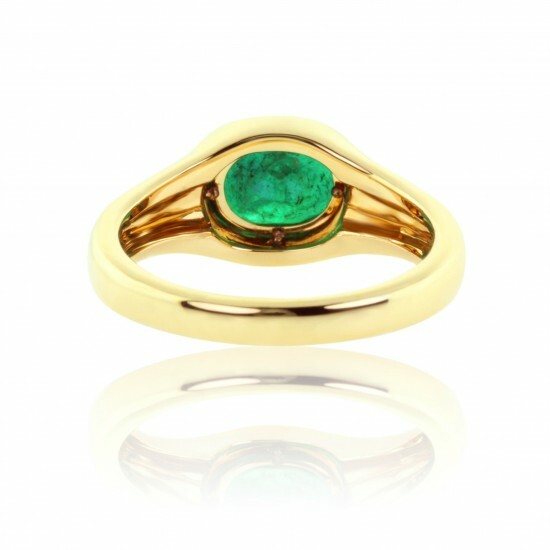 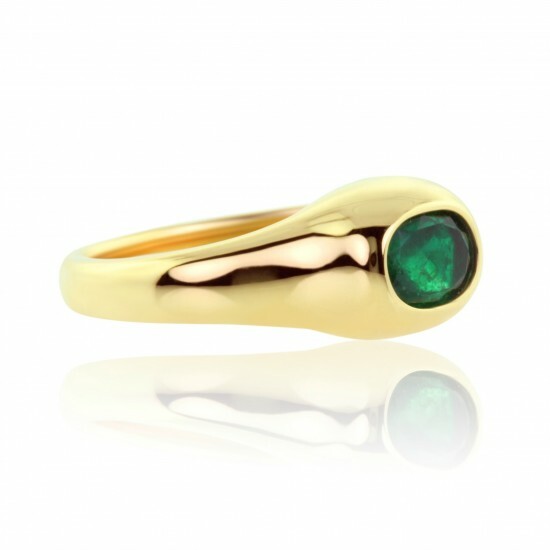 The 1.33 carat Colombian emerald is set in 18K yellow gold, providing for a beautiful contrast against the beautifully deep green of the center stone. 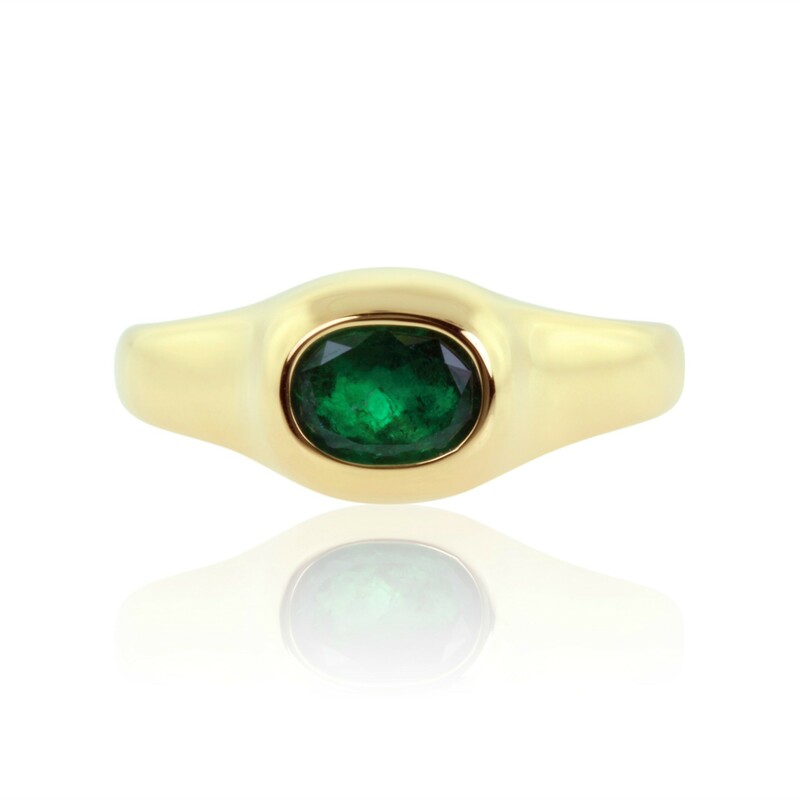 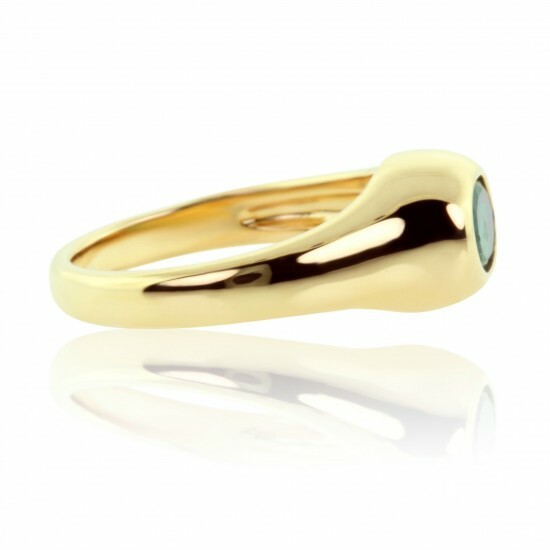 The bezel setting ensures that your emerald will not be easily scratched, damaged or prone to fall out. 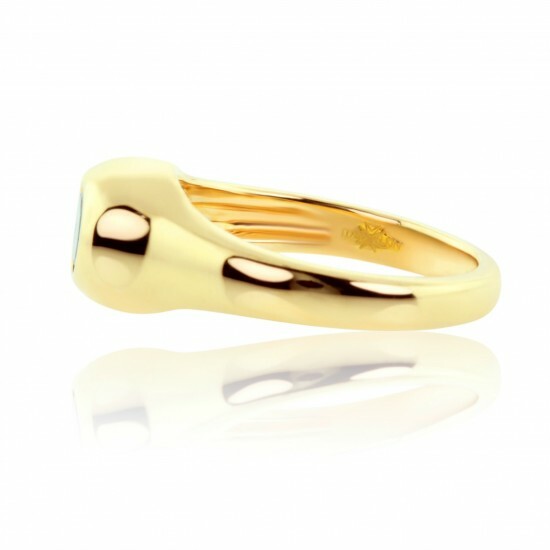 Gold weight: 6.66 grams.